LOYSBURG — The undefeated Bedford Area High School girls soccer team works on all aspects of its game during practice, and no area gets more attention than passing the ball. That became evident Tuesday night, when Bedford senior striker Allison Pittman converted a great feed from freshman Robyn Casalena for the only goal of the game as the Lady Bisons defeated Schuylkill Valley, 1-0 in a PIAA Class 2A first-round playoff game at muddy, snow-flecked Northern Bedford High School’s Panther Stadium. Pittman and Casalena broke in on Schuylkill Valley junior goalkeeper Emily Sellers midway through the first half, and Casalena dropped off a perfect touch pass that Pittman kicked into the cage for the only goal of the game at the 20:02 mark. Bedford improved to 22-0 and will meet Waynesburg, a 6-0 first-round winner over Harbor Creek, on Saturday at a site and time to be determined. “Our team works a lot on passing the ball around and being comfortable with each other passing the ball,” Pittman said. “Me and Rob (Robyn Casalena) were both up the field on the goalkeeper, and I was screaming for the ball like crazy. “(Casalena) sent me over a beautiful touch pass (that resulted in the goal),” Pittman said. On a night in which shots on goal by both teams were very few, that one goal would be decisive. “We’ve been telling the players that once you get into the state playoffs, one goal can sometimes be enough to win,” Bedford coach Jeff Thomas said. It was on Tuesday, thanks to District 5 champion Bedford’s solid defense and the excellent goalkeeping of freshman Lindsay Mowry, who turned aside seven Schuylkill Valley shots. Mowry’s best save of the night was a kick save on a shot from Schuylkill Valley senior midfielder with three minutes left in the first half to keep the game scoreless. She also stopped senior forward Kaelan Cronan’s shot along the ground from the left side with about 24 minutes left in the second half to preserve the shutout. 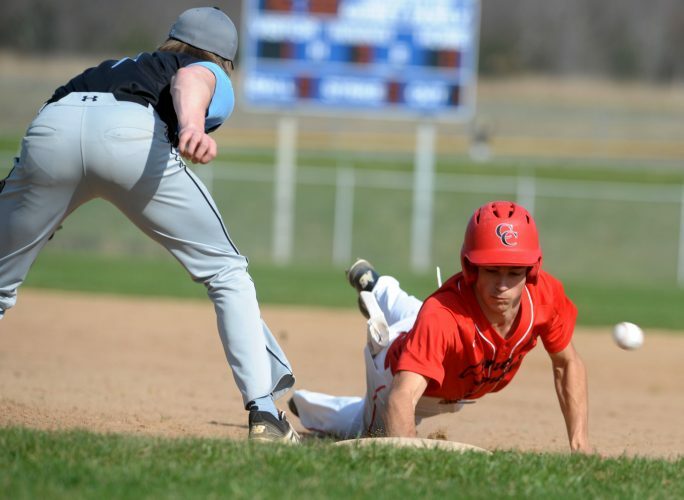 Schuylkill Valley coach Jason Bagenstose, whose District 3 runner-up team finished the season with a 14-8-2 record, felt that his squad was sluggish in the first half. It was meant to be for Bedford, which won its first state playoff game in the program’s history and will move on to the quarterfinals on Saturday. First half: 1, B–Pittman (Casalena), 20:02. Records: Schuykill Valley (14-8-2); Bedford (22-0). Shots on goal: Schuylkill Valley (Mowry 7 saves); Bedford 3 (Sellers 2 saves).